Dear all I would like to share with you my quest for the ”perfect pilot watch” that is giving me quite of a headache. I have been flying for fun since I was 18 and I had the luck to have very nice watches at my wrist, but unfortunately none of them were close to my own idea of The Perfect Pilot Watch: the aircraft clock A-13A. Basically I was looking for a no frills, large, easy to read dial, central minute counter for my VFR navigation, no tiny sub-dials, no date….a tool working well in a cockpit, not a watch to show to your friends at the bar. So after many years (and many drawings) I’ve finally decided to design my own watch, for my personal usage. · I’m happy of the general layout and it’s just Ok while flying. · Kevlar Cordura strap works very well. · The movement Eta 251.264 is far away from the first movement I took into consideration years ago, the Lemania 5100. I will never understand why they dismissed that. · The counterweight of the two central counters look huge. Unfortunately I guess there is very little to do here since the manufacturer specifies for them an extremely low allowable unbalance. Basically their center of mass shall be on their shaft, period. Central counters hands have been the most time consuming problem for far. · The case back engraving doesn’t please me that much. I’m thinking about a much deeper engraving. 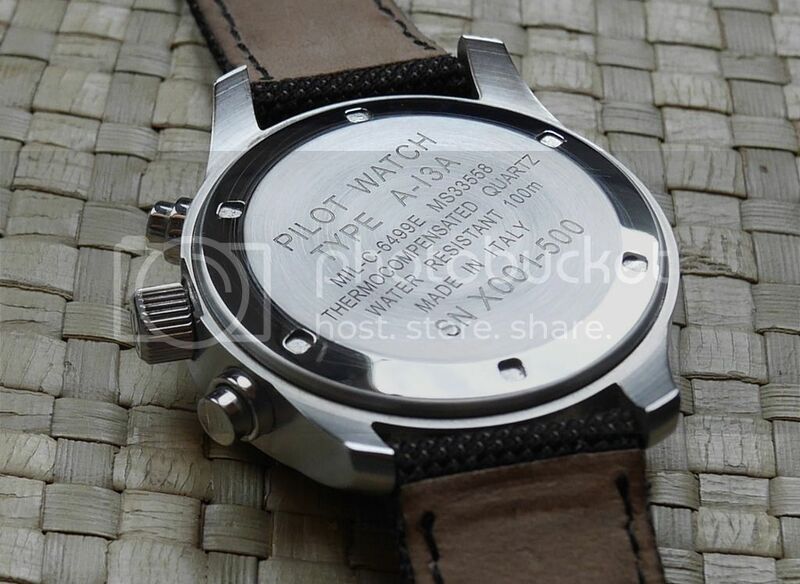 Pilots and watch enthusiasts please share your opinions and suggestions with me. Last edited by paolorange; February 26th, 2016 at 11:21.
lucduc, CVega, DummySmacks and 32 others like this. I like it with the "12" .. plenty of other watches with triangles and would make this watch look quite generic. artblakey, brandon\ and Mikavulin like this. 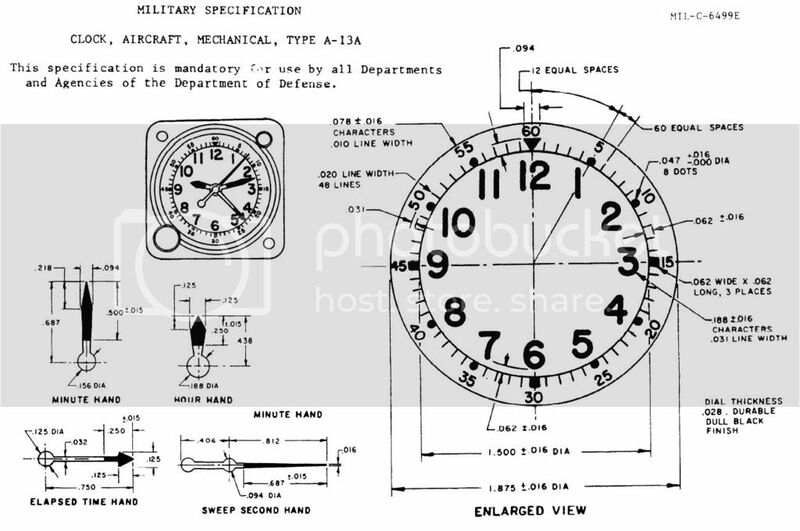 And the A-13A aircraft clock doesn't have a triangle. I love the design of this watch. A new set of hands is on the away just to see if their black matches better with the dial. I've designed a new setting crow and I'm also thinking to have it engraved with a small symbol. I choose the Greek letter "Alpha" since it represents the angle of attach, the most iconic physic/aviation symbol ... I hope Omega won't take that too badly . Yes, as Ceanag said, I've tried to stick to the C-4699E Mil Spec as much as I could with minor modifications to better fit a wrist watch case. Too bad I couldn't possibly duplicate the shape of the central minute counter. Last edited by paolorange; February 26th, 2016 at 15:46.
heyheyuw, Hunterfate, Tigris and 6 others like this. Beach Hound and Mikavulin like this. You're all a bunch of enablers. Some better than others. 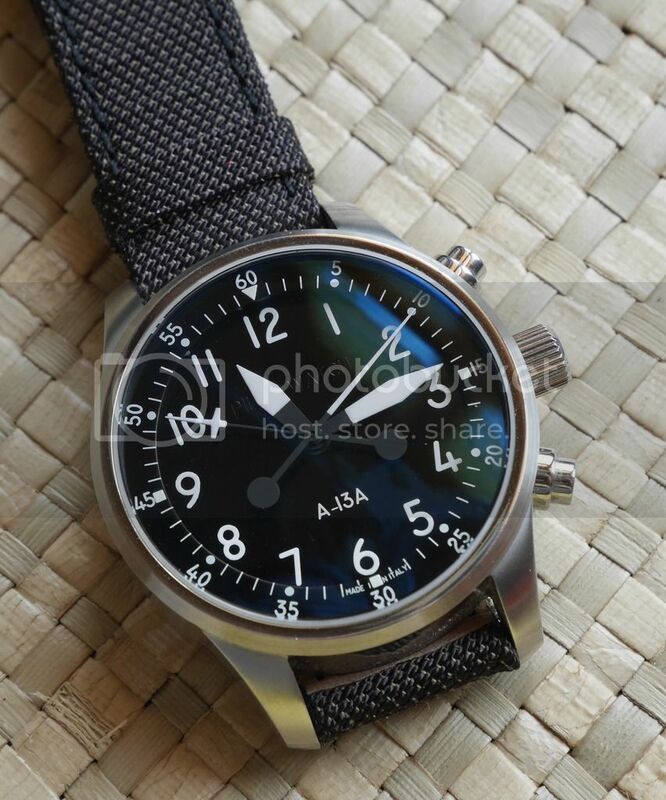 Seriously, that's one of the nicest, no gimmick, useful pilot watches I've seen in a long time. Are you gonna sell these? Where do i pay?? maxpowerman, brandon\, Beach Hound and 1 others like this. Looks great!! I will prefer a date window at 4.00 (maybe red numbers) but I'm not a pilot...anyhow, I'm in if you put it for sale!! 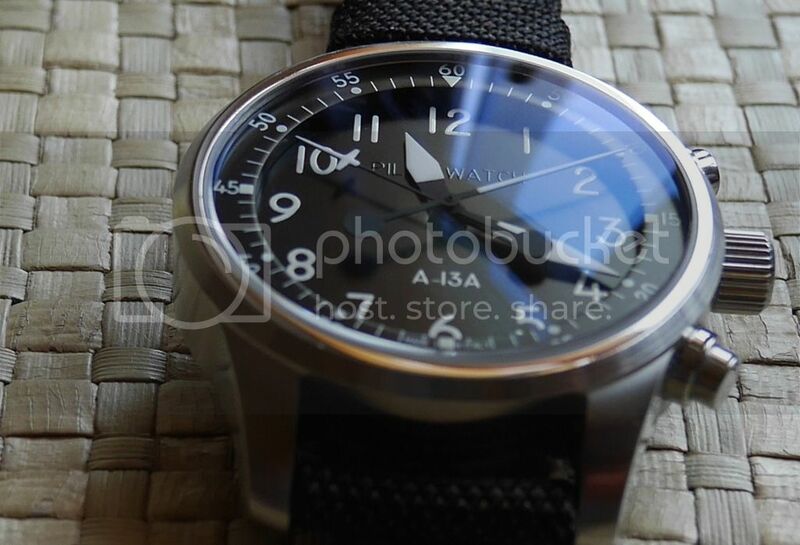 Love pilot watches, and I really like the direction of this one. Appreciate the dedication to get the details just right. I'm interested. Keep this thread active.